An Engineering student of the University of Nigeria, Nsukka (UNN), Augustine Obele, has developed a computer programme for preventing multiple voting in students’ elections. The software has been used to conduct the institution’s Nigerian University Engineering Students Association’s (NUESA) chapter’s election. KINGSLEY AMATANWEZE (Corps member, NYSC Makurdi) and CHUKWUEMEKA AJAH (300-Level Mechanical Engineering) report. 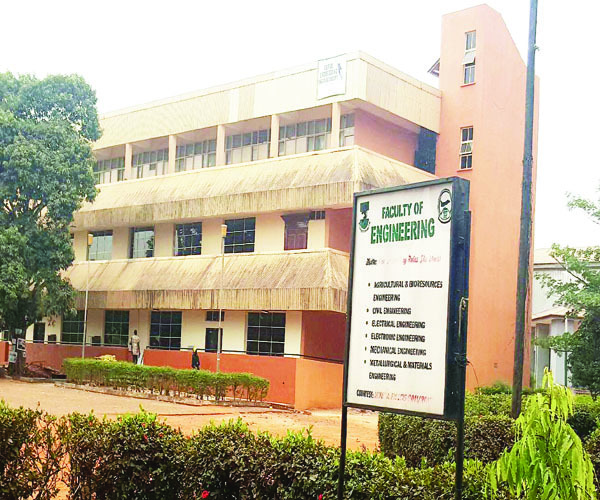 Engineering students of the University of Nigeria, Nsukka (UNN) have achieved a breakthrough with the help of the Internet. Last Friday, the institution’s chapter of the Nigerian University Engineering Students Association (NUESA) organised the first electronic voting on the campus, which enabled students to vote online. Augustine Obele, a 200-Level Agricultural and Bioresources Engineering student, became the hero of the innovation. The computer whizz-kid developed 4election, a software that allowed the students choose their leaders in a rancour-free process. The software made it possible for bonafide students of the faculty to cast their votes from the comfort of their hostels, classrooms and anywhere they may be within the stipulated period for the election. The innovation eliminated the long queue and physical accreditation, associated with elections. The electoral body, chaired by Godwin Nwangele, a 400-Level Electrical Engineering student, said it opted for e-voting to curb irregularities, rigging and other malpractices. Augustine designed a website, http://www.4election.com/, on which the software was launched. He ensured the webpage was up and running throughout the exercise. He also monitored the e-voting and managed visitors’ traffic on the website. To prevent multiple voting and ensure that only students of the faculty voted, the electoral committee got the list of students and asked class representatives of the faculty’s departments to submit information of students in their classes. The information included students’ names, registration and phone numbers. Augustine used the information to generate dissimilar passwords, which were sent to the students via text. The computer software detected some doctored names and phone numbers in the list submitted by the class representatives of the Department of Civil Engineering. It was alleged that class representatives attempted to sabotage the e-voting by supplying information, which did not tally with that of the faculty management. The electoral committee sanctioned the erring department and its students from the voting for this anomaly. The sanction was approved by the Head of Department of Civil Engineering, Prof F.O. Okafor, and the Dean of Faculty of Engineering Prof S.O Enibe. On election day, the data of candidates were updated on the website and the list of eligible students was displayed. The website was opened for voting from noon to 4pm. The software ensured that the registration numbers of students that voted were instantly indicated on the website for public view. But, the candidates voted for by each student could only be seen by the website administrator. At the end of the exercise, the results were presented to the Dean before they were announced. Miracle Nebo, a 200-Level Civil Engineering student and vice presidential candidate, described the exercise as transparent and successful. She regretted the disenfranchisement of her department, saying it affected her chance at the polls. Anthony Asadu, a 400-Level Metallurgical and Materials Engineering student, who voted outside the campus, described the process as simple, fair and successful. The 400-Level Civil Engineering class representative, Malachi Ugwoke, denied that the department’s students conspired to sabotage the exercise. He, however, admitted that a presidential candidate from the department tampered with student’s information submitted to the electoral committee. Godwin the electoral umpire said he was fulfilled that students accepted the outcome of the exercise without rancour. He urged the Dean of Students’ Affairs to prevail on members of University of Nigeria Electoral Commission (UNECO) to adopt the e-voting method for the forthcoming Students’ Union Government (SUG) election. Speaking to CAMPUSLIFE, Prof Enibe, said he was “highly delighted” on his students’ innovation. He described the process as a welcome development and asked other faculties to emulate the Engineering students. He said the faculty recorded highest number of voters in its elections in recent time. He added that disenfranchisement of Civil Engineering students was in order to make the exercise credible. Augustine said the major challenge against the innovation was the scepticism among students on the feasibility of the method and the poor Internet connectivity on campus. He promised to address the loopholes in the subsequent process. Over 1,000 students participated in the exercise. Joshua Dike, a 500-Level Mechanical Engineering student, garnered 443 votes to beat Kingsley Ugwu and Johnson Ochiaka, to become the president-elect. Others elected include Vice President, Laura Amajuoyi; General Secretary, Nzubechukwu Odenigbo; Assistant General Secretary, Daniel Omeke; Financial Secretary, Maxwel Micheal; Treasurer, Chiemerie Anaebo; Director of Sport, Chiedozie Udaegbunem; Director of Socials, Chinweizu Uwanna, and Public Relations Officer, Ikechi Ozor. Joshua hailed his colleagues for electing him their president, promising to deliver on his campaign promises. He said projectors would be installed in faculty classrooms. He also promised to organise excursion for the engineering students to learn from industry professionals.